I'd be fine with this. I think we would not only get an extra 1st, but another 2nd or 3rd. In that case, you still get a great WR and OT in the 1st round. Then use the extra pick on a RB. You could end up with Hockenson (TE) and Brown (OT); or Brown and Brown (OT and WR); or Risner (OT) and Metcalf (WR); or perhaps still grab Lawrence (DL) and a OL. Lots of great players available there. 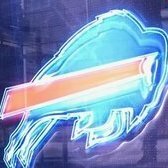 More likely scenario: Bills stay at 9 & take a WR or OL, then they will trade UP back into the 1st round to take whichever of the 2 positions they didn't take at 9. A much more likely scenario than Beane, who traded up twice last year in the 1st round, trading down and missing on a blue chipper at 9. So yes, the Bills will end up with 2 1st rounders. Edited February 8 by Albany,n.y. Le Batard? Pretty sure he's Cuban or Puerto Rican. Either way, he's an idiot. Although in fairness, this very board had some fun with the Peterman. I think the humor Peterman brought to the table was more about him than it was about the Bills. The Peterman transcends any particular NFL team. The trashing of the Bills died down a bit for that decision when Tyrod played poorly. It doesn't even bother me when they trash the Bills. All pub is good pub. Mostly, the Bills don't even exist on ESPN. Having said that, the Chiefs are in a similar boat. Nobody gives a flying leap about the Chiefs unless they have a star QB. If Allen becomes a star, we'll get some pub. Now that I think about it, you could be talking about that dude named Pablo something or other. I acknowledged and addressed that. Go back and read my post. Hmmmmmm, an interesting trade down. Depending on FA pick-ups. If we get a RT and G along with TE and DT. I can see making this move. Picking at 24, let's play the guessing game as to who will be left when the Bills pick. I'd go into the draft as status quo. 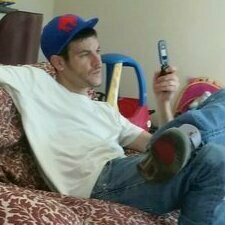 The trade decision should be made while the Bills are on the clock. There could be a stellar steal available, who slipped for unknown reasons, and the Bills should jump on it with #9. It happens. Alternatively, there could be no one really worth selecting at #9, in which event the Bills should trade down. They will pick two players in the first round but it won’t be the two Raiders picks.. Ideally if there is no one they love at 9, they drop back a little around that early teens range for an extra 2nd or 3rd.. The cupboard is almost bare time to restock. Lets get #17 some players. It really just depends on what they do(or don't do). would you trade down all the way to 24 to get another first? Absolutely! This draft is deep on both OL/DL which we need and the WR side once your out of the top 10 you actually have a good selection of guys without reaching. If we have to give a 2nd and an extra 5th for two firsts that result in OL and WR I am all for it. Like others, I would like to see what the Bills do in FA first. The Raiders would really have to be in love with a player to trade two first round picks for #9. If they are that desperate, maybe throw in swapping second round picks. 24. Dalton Risner OG/C/OT Kansas St can play anywhere but will play Center. 27. Chris Lindstrom OG Boston College. 74. Isaiah Buggs DT Alabama. Free Agents, Daryl Williams OT, Randal Cobb WR, and Thomas Davis LB. TE Irv Smith Jr, 2nd round pick. Clay is cut. I'm thinking we be lucky to get DK Metcalf at #9 as I don't think the wideout class this year is as good as they say! It's pretty laughable how they treat the Bills on Nfl live and the other talking head shows, doesn't bother me at all just noticed the disrespect. Yes, Pablo is his name. If he's a top 10 pk it's 90% based on his physical abilities. Naw, wouldn't take him at nine. If we trade to 15 and he still there, then I would pull the trigger. 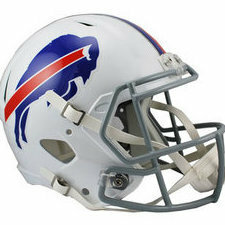 By my count, the Bills need serious upgrades at Center, Guard, Tackle, Wide Receiver and Tight End. Even if we re-sign Jordan Phillips, we still don't really have a 3-Tech Defensive Tackle. And even if you are in denial that Shady has lost a step, it certainly can't hurt to add another Running Back. That gives us seven glaring problems in the starting lineup, which need to be addressed if we truly want to compete for the playoffs/division in 2019. Personally, I think everyone picked on Day 3 of the draft is a long-shot to make an impact (at least during their rookie season). Which means (barring a trade-down), we can only really expect to address three of those seven holes on draft day. The rest need to be filled with free agents. Considering how much cap space we have, I think landing a half-dozen starting caliber free agents is certainly doable. But we aren't the only team competing for those guys, and some of the positions we need (WR and OG for instance) are very thin with guys that could truly be considered upgrades. If we strikeout in free agency, then Beane may have no choice than to move down for more Day 1-2 picks.